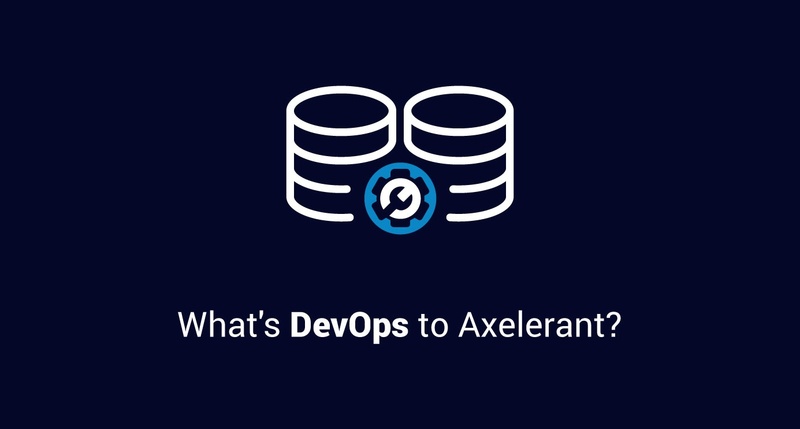 Axelerant DevOps Series Intro: What Is DevOps? When we hear or read the word "DevOps," different pictures appear in the minds of different people. And this all depends on context. For some, DevOps is a movement and a philosophy. For some it's a job title or a new way of doing systems administration. For others it's just a case of developers handling their own code in production. Since the word has so many different meanings to so many, it's always a good idea to come up with an organizational definition. Axelerant has been a leader in providing software development services. We realized that our clients don't just need support with development, but management and infrastructure support as well. And they're looking to reap DevOps Bennefits. To Axelerant, DevOps is an amalgamation of human resources, tech, and processes to help achieve the business goal of Continuous Delivery. DevOps is a union of all four of these components. In today's world, businesses are struggling to keep up with the unrelenting demands of end users. The ultimate goal of any business is end-user satisfaction, which today means that organizations need to evolve rapidly. For software-related businesses, this implies the continuous release of new features and performance improvements. However, this need for quick releases also comes with a major hurdle. Human resources are often limited in any organization, and delivering at a faster pace means placing additional strain on the developers and operations staff. Predictably, this strain often means more defects in each release and the consequent disruptions to the team’s productivity as they attempt to implement fixes and patches. Not so long ago, we had organizations with developers and operations staff working in their own silos. Developers used to write code and throw it over to operations staff to deploy, monitor and manage. If anything went wrong, it often led to a blame game, with both parties passing the buck to each other. This was far from ideal, but usually worked out in the past as the time between releases wasn't too short and teams had more time to sort these issues out. However, today, with releases happening multiple times a day, it's just not possible for organizations to handle these blame games—and this is where DevOps is helpful. This is a very common problem—developers often push code out, but once operations staff have deployed it, it doesn't work in production. Operations or support staff are usually the first to respond to the issue, and once the issue is reported to the developer, the response is often: "It works on my machine!" Deployment—what the heck is that? Do you SSH to the server and do a git pull, or SCP/RSYNC the tar balls/directories to remote servers to get the code pushed? If yes, you know the pain of doing deployments across multiple servers. Rolling back a rogue deployment in such cases is even harder. Your application could be great, and people could be very excited about it. But one day you may find people slamming you on social media as they are not able to access your application, or it's performing really badly. And you realize you need to scale. But... oh no, you've no ideas how the existing infrastructure was provisioned! Also, you have no visibility into which components need scaling. This is a classic one. Everyone knows monitoring is important and almost everyone neglects it until customer retention becomes a big problem. You've developed or deployed the application, but you've no insight into what's going on with your application or the infrastructure on which it's running. With a huge dependency on third-party services and service-oriented architecture or micro-services, the problem compounds, because now you not only need to know what's going on with your application, but also with other applications. How Does DevOps Help With This? DevOps and DevOps Staffing solutions attempts to solve all these issues by building a set of processes, tools and a team which understands business objectives along with technology. At Axelerant, we have been working on these objectives with DevOps Talent for quite some time now. Do subscribe to our blog to see how Axelerant is working towards minimizing these issues and achieving the goal of Continuous Delivery up to the last mile.